Life is good and suddenly you remember, tomorrow is Valentine’s Day. The first thing to cross your mind is a gift for your loved one, but you think it is probably too late for that. On the contrary, with a little imagination and innovation, you two can still spend a Valentine’s Day worth remembering. 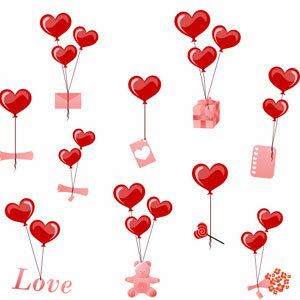 Here is a list of ideas that can help you brighten up your Valentine’s Day and make it special. Go back to the old-school ways of doing things, give him/her flowers. They are the perfect gift for Valentine’s Day. Not only are they traditional; in fact, they are easily available as well. Certain grocery stores tend to keep flowers on Valentine’s Day as well. That book store which you have not visited in the past six months, but you pass it every single day, perhaps it’s the perfect time to pay it a visit. Look for Shakespearean sonnets, love poems by Rumi or even the 13th Century Persian Poets. Everything is going to work your way. Last minute reservations can be a huge problem, but you can make up for forgetting Valentine’s Day. Start cooking and give him/her the special treat that they deserve. In case the weather outside is too cold for you to hold a picnic, you can always opt for an indoor area such as a car parking, or a place where the two of you first met. Jewellery is most definitely a time-tested classic. If you have forgotten to buy her a gift this Valentine’s Day, impress her with a little bling. She will absolutely fall in love with you all over again. Probably it’s time to play with emotions. Do you have a video camera? Perhaps it’s time for you to record him/her a video that will send out a lovable message. You can visit certain places where the two of you have special memories but you don’t visit them often. Getting a tattoo is quite old school, but once the two of you are planning to get the same tattoo, that is going to make things far more interesting. Opt for half a heart on your hand, while the other half on his/her hand. Nothing is better than describing the other person in plain simple words. It gets difficult as well. Perhaps it’s time to work on your writing skills in order to bring a smile on his/her face.